It looks as if facial scans for snack-dispensing purposes isn’t the only mind-blowing feature on the whiz-bang generation of vending machines. Japanese company Asahi has just unveiled an advanced dispenser that’s capable of doubling as a WiFi hotspot, so good luck getting through the mobs of leechers just to buy a soda. The machine sends out the internet waves free of charge and covers about 164 feet around it; of note, there’s a 30-minute limit on each session — but it’s nothing that a fresh login can’t solve. Asahi is planning on rolling out 1,000 of these in the upcoming year, but if you don’t call the Land of the Rising Sun your home, you won’t be able to experience the smart vendors anytime soon. Now, if only this same magic would slide over to park benches, blades of grass and molecules of oxygen, we’d be content. 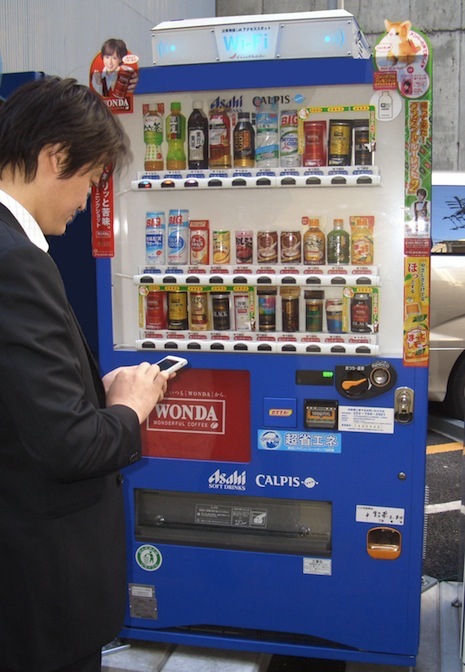 Japanese vending machine doubles as WiFi hotspot — no purchase required originally appeared on Engadget on Wed, 28 Dec 2011 17:46:00 EDT. Please see our terms for use of feeds. Just over one month after crossing the 40,000 app-submission threshold, Microsoft’s Windows Phone Marketplace has hit another milestone: 50,000. According to analyses done by All About Windows Phone, the Taj Mahal of tiles has seen developers submit just over 50,000 applications for review — 42,655 of which are currently available in the United States. What may be more telling is the rate at which developers are submitting their wares. Over 17,000 apps have been submitted to the Marketplace in the last 90-days from over 13,000 different publishers (an average of 265 per day). With Apple’s iOS App Store and Google’s Android Market sitting firmly atop the mobile-app-ecosystem totem pole, Microsoft is looking to close the gap and put distance between itself and Research In Motion’s BlackBerry App World. Hopefully, the gang from Redmond can keep the positive momentum going through 2012… even with its next major mobile OS revision being a minor one. 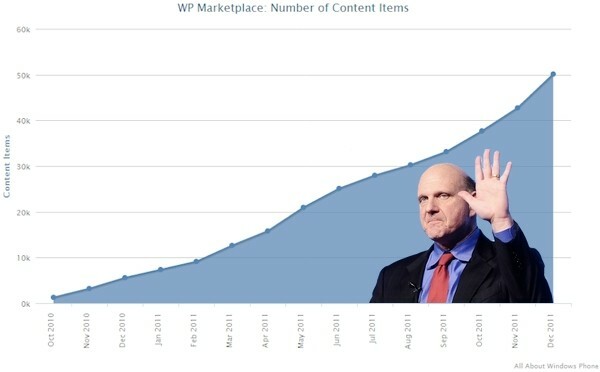 Windows Phone Marketplace hits 50,000 app-submission milestone originally appeared on Engadget on Wed, 28 Dec 2011 16:42:00 EDT. Please see our terms for use of feeds. Listen to the Engadget Mobile Podcast, live at 5PM ET! Myriam. Brad. Mat Smith? Yes, we have another in-house guest to grace the airwaves and offer perspective on the mobile world as we quickly approach the new year and CES. So join us at 5PM ET — same bat time, different bat day — as we chat (and vent) about phones. It’ll be peachy! Continue reading Listen to the Engadget Mobile Podcast, live at 5PM ET! Listen to the Engadget Mobile Podcast, live at 5PM ET! originally appeared on Engadget on Wed, 28 Dec 2011 15:45:00 EDT. Please see our terms for use of feeds. This entry was posted on December 28, 2011, 5:59 pm and is filed under Mobility. You can follow any responses to this entry through RSS 2.0. Both comments and pings are currently closed.